The California Supported Living Network (CSLN) was formed in 1996 by a small group of professionals from across the state who had provided supported living services under the original California Supported Living Arrangement (CSLA) pilot program. In the beginning we were little more than a quarterly “fax network” established to communicate to one another about current issues in supported living. We elected a chairperson to be our voice in Sacramento and to keep us informed with legislative alerts. In October of 1997 the Network held its first official gathering at the “Supported Life Conference” in Sacramento. Out of that meeting, the Network’s Steering Committee decided it needed to ensure that supported living remained a viable option for people with developmental disabilities. These individuals envisioned a united group of service providers, consumers, families and members of the community at large who would give supported living political power and a strong voice throughout the State of California. The Steering Committee started a membership outreach campaign and a quarterly newsletter. Many of the original members were participants in the CSLA pilot project, as well as participants in the development of the Supported Living regulations. CSLN has evolved over the years, growing stronger and becoming a voice for people with developmental disabilities and SLS providers. Over the past years, we have grown in membership, and incorporated as an official non-profit 501c(6) organization in 2007. Acknowledging the reality that Supported Living Services and Independent Living Services are both based on the five principles of community living, we changed our mission statement in 2009 to include the representation of Independent Living Service providers as well as Supported Living Service providers. We have formally responded to governmental and regulatory agencies on issues of concern regarding Supported Living Services and Independent Living Services. We participated in the work groups with the Department of Developmental Services (DDS) in establishing a statewide rate setting methodology for supported living services, as well as on the DDS System Reform Task Force. Seeking wage parity between developmental center and community employees, we supported the Sanchez lawsuit. CSLN was actively involved in the passing of SB1038 which offered a rate increase to Supported Living and ILS Providers through a wage pass-through process. We continue to elevate the concerns of Community Living providers and participants through quarterly meetings with the Director of the Department of Developmental Services and through our invited participation in the DDS’s 2010-11 Budget Advisory Committee. 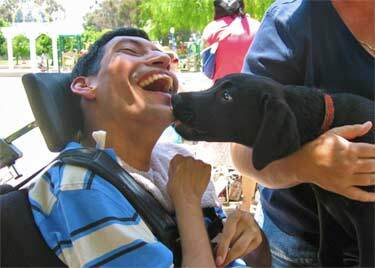 The California Supported Living Network will continue in keeping with the 5th principle of community living, to provide flexible and tailored supports to our membership and to promote our mission of community living as an option for people with developmental disabilities for many years to come.